Many options are available, and they are tailored to your specific requirements. If you need a replacement tooth while the implants are healing, temporary removable teeth or a temporary bridge can be made by your dentist. If all of your teeth are missing, we may be able to modify your present complete denture so you can wear it during the integration phase. The replacement teeth are usually attached to the implant when adequate healing has occurred and your jaw bone is firmly fused to the implant (integration). Depending on a variety of factors, it may be possible to begin this phase of your treatment immediately or shortly after implant placement. We will review the most appropriate treatment sequence and timing for your particular situation during your consultation. No. Dental implants are best done as a team effort. An experienced oral and maxillofacial surgeon places the implant(s) and performs other necessary surgical procedures – your general dentist provides the temporary and permanent replacement teeth. Both doctors are involved in planning your dental treatment. 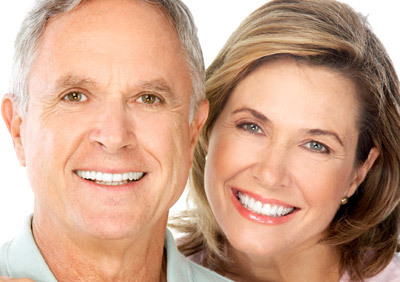 Dental implant surgery – is surgery – and is best accomplished by a true board certified oral and maxillofacial surgeon. Before treatment begins, every effort will be made to give you an accurate estimate of all the expenses involved in placing the dental implants. Costs for the replacement teeth are determined by your restorative dentist and these costs are not reflected in our estimate. In many cases, there is an initial charge for the diagnostic work-up, including study models, x-rays, and the fabrication of a surgical template to ensure the best possible result. Each patient is unique, and it is not possible for us to discuss every option and every contingency for treatment outcome here. This website section is intended to help you understand the general treatment options available to you. If your specific treatment options are not clear, please contact us. We will be happy to answer any questions you have about your care.